When I have to find an address in London, I go to Google Maps and I enter the London postcode. If you enter a UK postcode into Google Maps, it gives you the location of your final destination within a grouping of neighboring buildings. It’s enough to help you calculate distances and directions by car, public transportation, or by foot. You then complete your journey by locating the actual house or building number once you are on the street. When you provide someone in London with your address you always use the postcode. The main difference between a UK postcode and an American zip code is that the UK postcode provides a lot more information. The layman can immediately identify the geographical location by looking at the first or first two characters of the UK postcode. The rest of the UK postcode gives the UK post office detailed sorting information drilling it down to a particular grouping of buildings within a city block. This is why Google Maps can pinpoint your location with just a London postcode. In the US, most people can only recognize their own zip code. It’s really meant as a tool for the post office. In addition, the US post office has to use the house number and street name for sorting mail. If you have to find a US location on Google Maps it is not sufficient to enter just the zip code. You need to enter the house number and street name as well. A UK postcode can have 5 to 8 characters. The format is AA9 9AA where A=a letter and 9=a number. There is a space between the first set of characters and the second set of characters. The first set of characters is called the outward code and the second set of characters is called the inward code. The second set of characters, 0AA, drills the information down to the building or a group of buildings. It’s referred to as the inward code and it is intended to help the delivery post office sort the mail. The first character is a number, in this case “0”, and it refers to the postcode sector. The last two characters are letters and they refer to the postcode unit. This particular postcode is for The House of Commons. The postcode for Buckingham Palace is SW1A 1AA, located in the South West postcode area, in district 1A, in postcode sector 1, in postcode unit AA. Imagine London as a set of concentric circles and those concentric circles divided into segments. The center of London is the center of the circle and it is divided into 2 segments. They are WC and EC and stand for Western Central and Eastern Central postcode areas. Then you start expanding outward from this central area into all of the surrounding neighborhoods located North (N), South (S), East (E), West (W), Northwest (NW), Northeast (NE), Southwest (SW), and Southeast (SE). Postcodes are an excellent navigation tool, especially when used in conjunction with map applications. 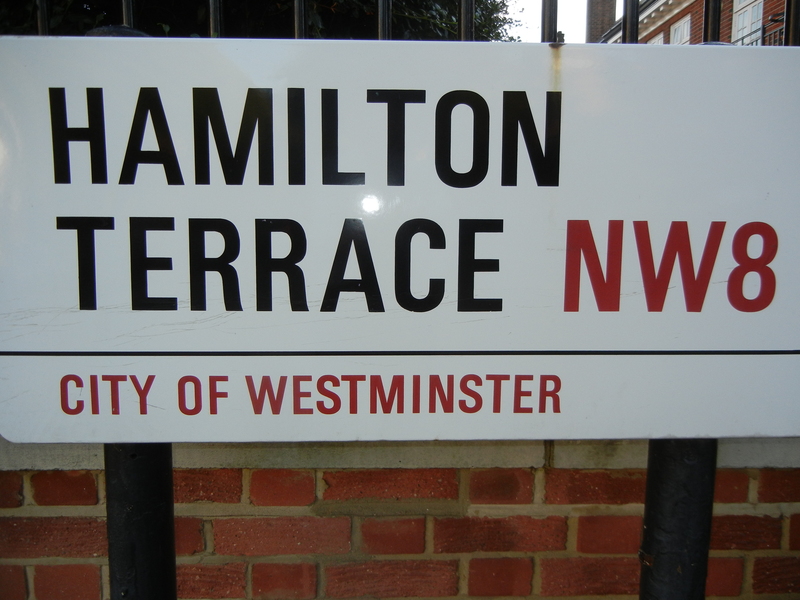 Most street signs in London will show the name of the street and the outward postcode as in the picture below. Congratulations on starting your blog! You’re bringing back a lot of memories for me. I remember being really frustrated at trying to find houses in England without house numbers. The Brits are fond of naming houses, not numbering them. Then someone told me about postcodes and my life became a whole lot easier. I heard when I lived there that building numbers in London were removed during WWII to confuse German spies and that they haven’t gotten around to replacing them yet. I swear I’m not a German spy! I look forward to congratulating you again on your one-year blog anniversary, Ariadne!